And although it hasn’t been official announced yet, several media outlets (including Variety) have reported that Disney+ will have several spinoff series about Marvel characters played by the same actors who played the characters in the Marvel movies. Loki (played by Tom Hiddleston), Hawkeye (played by Jeremy Renner), Falcon (played by Anthony Mackie), Winter Soldier (played by Sebastian Stan), Scarlet Witch (played by Elizabeth Olsen) and Vision (played by Paul Bettany) will all have their own limited series. 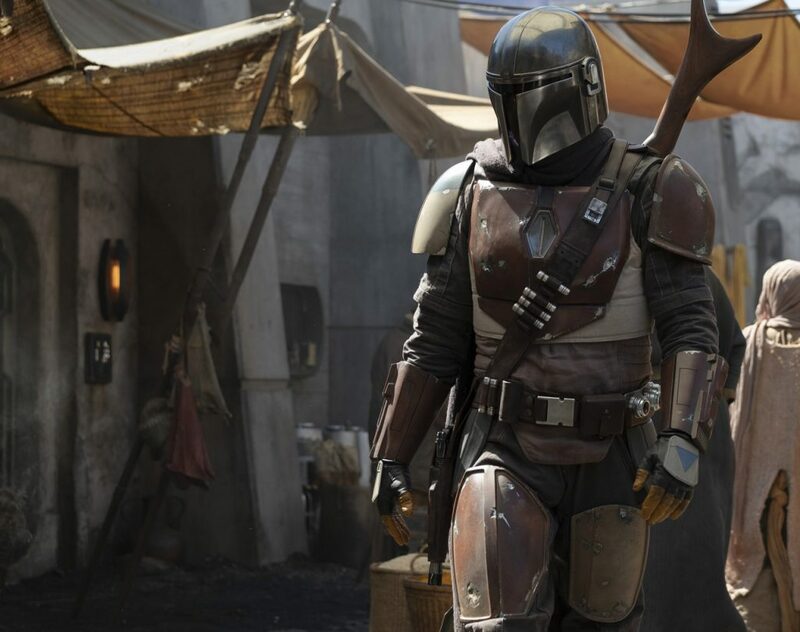 “The Jungle Book” and “The Lion King” live-action director Jon Favreau is writing and directing the Disney+ “Star Wars” spinoff series, which is called “The Mandalorian.” In October 2018, Lucasfilm and StarsWars.com revealed this synopsis for “The Mandalorian”: “After the stories of Jango and Boba Fett, another warrior emerges in the ‘Star Wars’ universe. ‘The Mandalorian’ is set after the fall of the Empire and before the emergence of the First Order. We follow the travails of a lone gunfighter in the outer reaches of the galaxy far from the authority of the New Republic.” Directors for “The Mandalorian” include Dave Filoni, Deborah Chow, Rick Famuyiwa, Bryce Dallas Howard and Taika Waititi. According to a press release, the Disney+ series “Monsters at Work” reunites the original voice cast of “Monsters Inc.” (John Goodman, Billy Crystal, Jennifer Tilly, John Ratzenberger and Bob Peterson), who will be joined by new cast members. The press release announces that the new characters are “Tylor Tuskmon (voiced by Ben Feldman), an eager and talented young mechanic on the Monsters, Inc. Facilities Team (MIFT) who dreams of working his way up to the factory Laugh Floor to become a Jokester alongside his idols Mike and Sulley. Starring alongside Feldman is Kelly Marie Tran as Val Little, Tylor’s lifelong friend and confidante; Henry Winkler as Fritz, the scatterbrained boss; Lucas Neff as Duncan, an opportunistic plumber; Alanna Ubach as Cutter, the officious rule follower; and Stephen Stanton as Smitty and Needleman, the bumbling custodial team. Aisha Tyler (“Archer”) voices Tylor’s mom, Millie Tuskmon.” “Monsters at Work” is produced by Disney Television Animation, and the series was developed and is executive produced by Disney animation veteran Bobs Gannaway with Ferrell Barron serving as producer. Kat Good and Rob Gibbs are directors. Disney’s acquisition of several Fox entertainment assets (including Fox Studios, Fox Searchlight Pictures, Fox 21 Television Studios, FX Networks and National Geographic Partners) means that Disney+ is also expected to have Fox-related content. 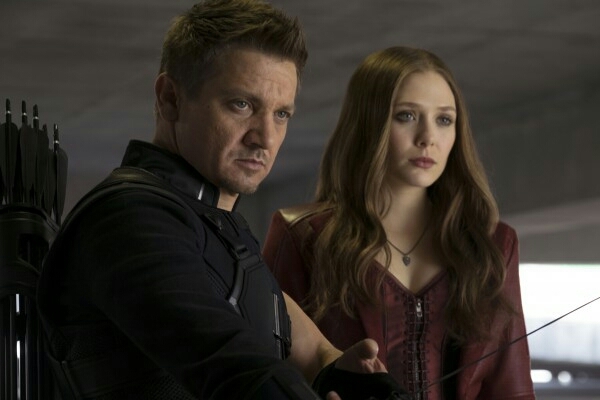 There has also been speculation about what will happen to the Marvel series that were canceled by Netflix (“Daredevil,” “Jessica Jones,” “Luke Cage” “The Punisher” and “The Defenders”), although the explicit content of those Marvel shows (which would get an R rating if they were movies) might prohibit them from being on the family-oriented Disney+ streaming service. Since Disney now owns a majority stake in Hulu, the more adult-oriented Disney content could end up on Hulu. According to Variety, Disney has signed a two-year deal with production group Supper Club, whose credits include the non-fiction projects “Chef’s Table” series on Netflix and the documentary films “Jiro Dreams of Sushi” and “13th.” Under the deal, Supper Club co-founders Brian McGinn, David Gelb and Jason Sterman will develop and executive produce non-fiction programs for Disney+ and other Disney-owned properties. “Be Our Chef,” hosted by Angela Kinsey, a cooking competition that pits diverse groups of families against each other for culinary showdowns at Walt Disney World. The show is produced by Eric Day and Mark Koops of INE Entertainment. “Earthkeepers” (working title), a wildlife conservation show produced by Supper Club. 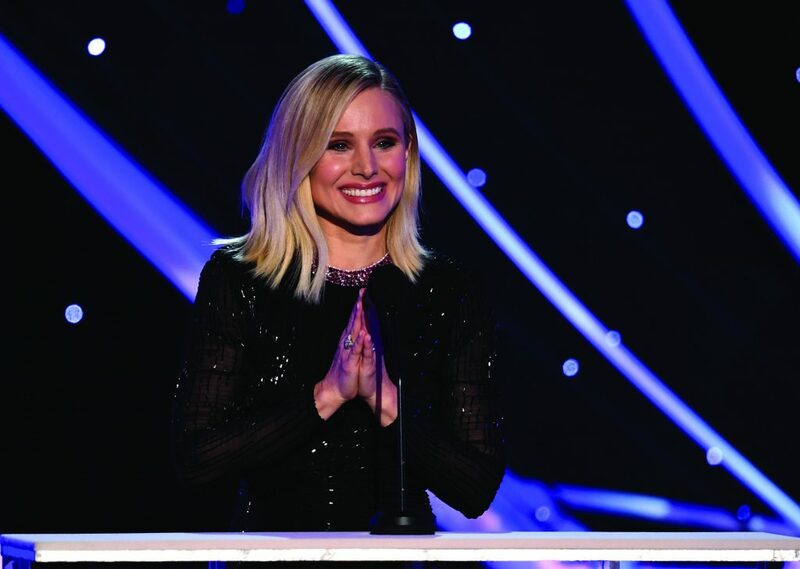 “Encore!,” hosted by Kristen Bell, a reality show that reunites cast members of high-school musicals. Jason Cohen created the show, whose executive producers are Cohen, Bell, Alycia Rossiter, Will Gluck, Richard Schwartz, Jim Roush and Chris Wagner. “Cinema Relics: Iconic Art of the Movies” (working title), a documentary series that examines the costumes and props of famous Disney films, including “Pirates of the Caribbean: The Curse of the Black Pearl,” “Mary Poppins,” “The Muppet Movie,” “Who Framed Roger Rabbit?” and “Tron.” The show is produced by ABC Studios and executive produced by Jason Henry and Dan Lanigan. “Marvel’s 616″ (working title), a pop-culture show produced by Supper Club and Marvel Digital. “(Re)Connect,” a reality show that aims to reunite families who have been divided over a serious issue. The show’s executive producers are Mark Consuelos, Kelly Ripa and Albert Bianchini of Milojo Productions, and Julian P. Hobbs and Elli Hakami of Talos Films. “Rogue Trip,” a non-fiction travel show that explores places off the beaten path from predictable tourist spots. Bob Woodruff and his son Mack Woodruff are show’s hosts, and will executive produce “Rogue Trip” with Jeanmarie Condon for Lincoln Square Productions. Walt Disney Imagineering documentary series (title to be announced), produced by Iwerks & Co. and directed by Leslie Iwerks. *April 11, 2019 UPDATE: Disney+ has announced that its launch date is on Tuesday, November 12, 2019. The subscription rate is $6.99 (U.S. dollars) per month.